The Center for Infrastructure Engineering Studies (CIES) invites the campus community to attend a guest lecture by Dr. Guarav Sant 2-3 p.m. Thursday, Feb. 21, in Room 317 Butler-Carlton Civil Engineering Hall. The presentation is titled “Isothermal Stimulation of Mineral Dissolution Processes by Acoustic Perturbation.” Refreshments will be provided. Sant is an associate professor and a Hentry Samueli Fellow at the University of California, Los Angeles. He also is the director of the Institute for Carbon Management at UCLA. 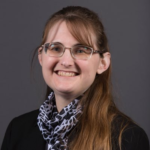 Dr. Sant’s research interests include reactions at solid-liquid-vapor interfaces including dissolution, precipitation, and electrochemical corrosion with applications to several materials. Get more details.